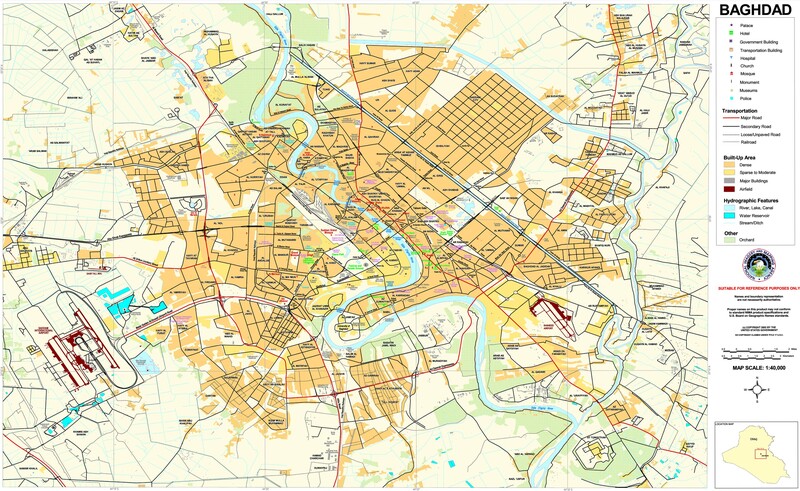 In June 2014 the Islamic State (IS) swept into Mosul taking Iraq’s second largest city. Afterward IS leader Abu Bakr al-Baghdadi gave a public sermon in a Mosul mosque declaring the return of the caliphate. That sent shock waves through the international community, but was in fact a long term goal of the group. Abu Musab al-Zarqawi who founded the organization that would become IS wanted to form an Islamic state long before the 2003 invasion of Iraq. After he was killed in 2006 his successors began forming a state, but that was largely ignored until their replacement Baghdadi began making it a reality. Restoring the caliphate was a major goal of Abu Musab al-Zarqawi. That started in the early 1990s when he began working with Abu Mohammed al-Maqdisi. Together they criticized the west and the Jordanian government, and called for jihad and the formation of an Islamic state. In 2001, Zarqawi and Al Qaeda commander Saif Adl allegedly talked about how the impending invasion of Iraq might provide the opportunity to restore the caliphate. The Muslim Brotherhood largely inspired these ideas. 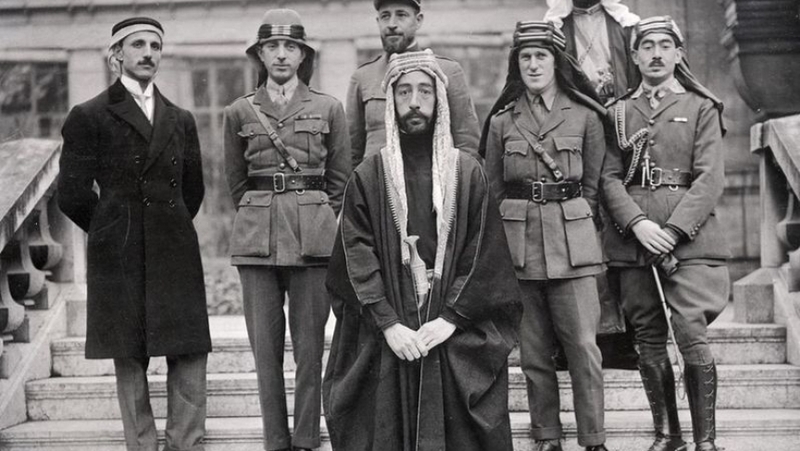 It talked about the caliphate when it was founded in the 1920s, and later in the 1950s its ideologue Sayid Qutb called for radical revolutionary activism, which inspired many groups in the following decades. Zarqawi came from this line of Salafi-Jihadist thought, and tried to implement it in Iraq. Throughout Zarqawi’s time in Iraq he stated that his goal was to form an Islamic state. In May 2004 for example, he said he was in Iraq to wage jihad and create a state. Two months later he stated that an Islamic state was emerging in Iraq, and in August he claimed he was fighting to launch the caliphate. The next year he issued a strategy document, which concluded with a state. Then in 2006 Al Qaeda in Iraq created the Mujahedeen Shura Council with five other groups, which it said was the start of a new Islamic nation. Zarqawi was killed a few months later, but it was evident from these statements and more that he believed the vacuum created by the overthrow of Saddam Hussein and the subsequent war was just the opportunity he had been waiting for to return the caliphate. He thought starting a civil war in Iraq would rally the Sunni population to his side in a jihad against the west and Shiites. The ensuing victory would open the door to a new Islamic era. After the passing of Zarqawi, Al Qaeda in Iraq would continue on with his vision. Abu Hamza Muhajir also known as Abu Ayub Masri replaced Zarqawi as the head of Al Qaeda in Iraq. He named Abu Omar al-Baghdad as the official leader of the organization. In October 2006 they announced the Islamic State of Iraq (ISI), which was to follow in the footsteps of the Prophet Mohammed. It claimed it controlled an area about the size of Medina under the Prophet. 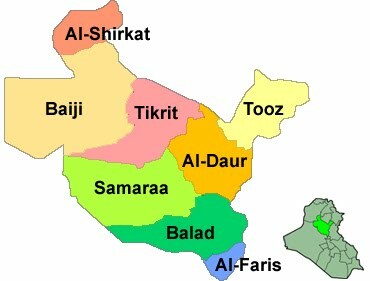 That included provinces in Baghdad, Anbar, Diyala, Kirkuk, Salahaddin, Ninewa, and parts of Babil and Wasit. In turn, Muhajir called for Muslims to give baya or allegiance to Baghdadi. This was generally welcomed by jihadis such as Al Qaeda initially, but caused controversy within the Iraqi insurgency. The Islamic Army for example, criticized the idea in 2007. The United States on the other hand didn’t pay much attention, focusing instead upon calling Baghdadi a fake. 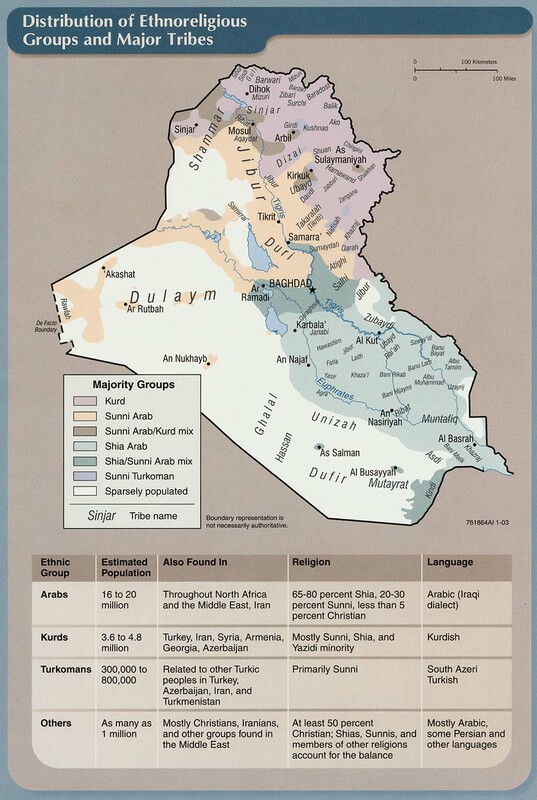 The Islamic State of Iraq was actually the start of the caliphate, but was almost completely missed in the west. Muhajir and Baghdadi were fulfilling Zarqawi’s plan. The problem was that ISI didn’t have the power in Iraq to actually create a state on the ground. By 2007 for example, it was suffering major setbacks. It also lacked the standing in the jihadist community to convince many others that the caliphate was returning. It wasn’t until the Syrian war, and the revival of IS that the Islamic state would really gain ground. The conflict in Syria allowed IS to gain new recruits, find new sources of income, and expand into another country. That led to the declaration of the Islamic State of Iraq and al-Sham (ISIS) in April 2013. In Iraq, the decline of politics for Sunnis after the 2010 elections, the U.S. military withdrawal in 2011, Sunni protests, and Prime Minister Nouri al-Maliki’s hallowing out of the Iraqi Security Forces all contributed to the return of IS. By 2014 IS was able to seize Mosul and declared the caliphate on June 29 resulting in the name change from ISIS to simply the Islamic State. This time the announcement was taken much more seriously and gained headlines around the world. IS had proved itself an effective insurgent group seizing huge tracts of land in both Syria and Iraq. That didn’t mean there was universal agreement upon the caliphate within the jihadi community as there were still plenty of dissenters, but IS had made gains like few other Salafists had done before giving an air of legitimacy to the new Islamic state. The restoration of the caliphate was a long time coming for the Islamic State. Zarqawi had talked about it years before he even entered Iraq. He wasn’t able to declare it; that was left to his successors Muhajir and Baghdadi. Their announcement was barely even noticed at the time with many either ignoring it or just taking it as a name change for Al Qaeda in Iraq. It wasn’t until IS seized territory in both Syria and Iraq that the caliphate was taken as a reality. IS not only had the power to enforce its pronouncements, but started acting like a state as it always talked about. It has civil servants, provides services, runs schools, etc. It also demanded the loyalty of not only all the other insurgent groups in Syria and Iraq, but of all Muslims around the world. This has gained widespread support from many young jihadis. Now the question is whether IS has the resources to maintain and expand its state. Today, the Islamic State (IS) dominates the Iraqi insurgency. It has swallowed up opposing factions and forced others off the battlefield. Up to 2014 however there was a range of militant groups operating in the country. In 2005, Nicholas Haussler attempted to categorize the insurgency into three broad groups. Those were local level actors that were usually based upon kinship. The next were larger enterprises that had access to weapons, independent funding, and connections to international groups and markets. The last was the transnational Al Qaeda in Iraq that networked with Iraqis and others across the region. These groups all interacted and competed with each other at the local to international levels to create the country’s insurgency. Today these different levels still exist, they just operating under the auspices of the Islamic State. The core of the insurgency was the local chapters. These were usually organized along kinships, clans, occupations, mosques, etc. For example, a person might be a former member of the secret police, be part of a clan and tribe, and go to a specific mosque and draw upon all of those connections to find like minded people who were willing to fight the U.S. and Iraqi government. Ansar al-Islam for example was an Islamist group in Kurdistan that was formed before the 2003 invasion. Most of its core was said to come from one Kurdish clan. These groups were intimately connected to their communities who provided them the space to operate in, recruits, intelligence, and a means of communication. They were responsible for the majority of killings, information gathering, and security for networks. These groups were small and often competed with each other as much as cooperated. They posed a serious challenge to the state with its large bureaucratic structures that made it hard and slow to respond to this threat. The next type of group was the enterprise. They were usually based upon extended families and clans. Many became criminal rings during the sanctions period. In the 1990s, the government encouraged certain officials and preferred tribes to smuggle goods to get around the international sanctions imposed on the country after its invasion of Kuwait. This allowed them to build up networks into Syria, Turkey and Jordan. These groups were able to expand with the power vacuum after the 2003 invasion. Their activities gave them access to communications, supplies, resources, and accesses to global markets. They also had links to institutions such as political parties, the Iraqi Security Forces, the judiciary, and the bureaucracy through infiltration, intimidation, and bribery. That meant these enterprises could tap into government wages, equipment, weapons, etc. Many of these groups later joined the insurgency providing supply networks and independent financing. They would contract out work to the local level actors to carry out operations. The last type of organization was the transnational, which was represented by Abu Musab al-Zarqawi’s Tawhid wal Jihad, which later became Al Qaeda in Iraq. It was made up mostly of foreign fighters, and had networks across the Middle East. The group was organized into cells, many of which acted autonomously. Zarqawi would bring the smaller groups together for large operations. He would also cooperate with local Iraqi groups and enterprises out of their shared interests in overthrowing the government and expelling the Americans. The local groups could cooperate on attacks, while enterprises could launder money or procure weapons. At the same time there was plenty of competition and rivalry, which would often break out into open fighting between them. 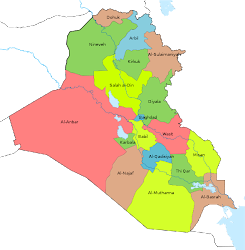 Eventually Tawhid wal Jihad’s successor the Islamic State would subsume almost all of the other Iraqi groups from the local level to the enterprises after the summer of 2014. Today the situation in Iraq has changed as the diversity of insurgent groups has largely disappeared due to the power of the Islamic State. Up to the summer of 2014 there was a plethora of organizations active in Iraq, but they have mostly left the battlefield or been integrated within IS. Still elements of these different types of organizations exist, but largely under the umbrella of IS. There are still local Iraqi groups that provide foot soldiers for the Islamic State. Members of certain tribes for example have sided with IS and are likely organized along kinship lines. IS has appropriated many of the crime rings of central and northern Iraq that were once run by independent enterprises. Where the group was strong such as in Mosul, this happened years ago. IS has now expanded these activities after its seizure of so much territory in Syria and Iraq to sustain itself. It has exploited its connections across the region to smuggle oil and antiquities amongst other illegal activities. Finally, IS still acts as the transnational actor coordinating these smaller groups and providing leadership. 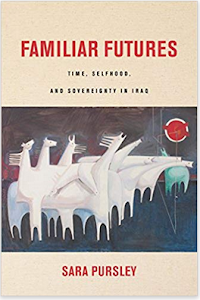 Haussler’s categories are helpful in understanding how the insurgency was organized as it was never one monolithic group, but rather a conglomeration of like minded people united in their opposition to the new Iraq. It still proves useful today to breakdown the components of the Islamic State. The third week of May 2015 was marked by the fall of Ramadi in Iraq’s Anbar province. The fighting for the city caused huge casualties amongst the Iraqi Security Forces (ISF), tribes and civilians, especially as the Islamic State (IS) carried out executions during the entire operation. The battle for Ramadi showed the limits of reporting in Iraq as most of the papers were caught up in Anbar and dramatically reduced their coverage of the rest of the country. There were 123 security incidents in the media from May 15-21. That was the lowest since the 121 reported the first week of April. That wasn’t because violence suddenly decreased, but rather was the result of the press being fixated upon the fight for Ramadi. The Iraqi papers barely covered the rest of the country during that period. Much more was going on in the rest of Iraq, it just wasn’t mentioned. While attacks were way down the number of casualties was quite high due to Ramadi. 961 people died and 380 were wounded during the week. Most of those were in the Anbar provincial capital where IS executed over 500 ISF, sahwa and civilians during and after its capture. In total 848 were killed in Anbar, followed by 51 in Baghdad, 19 in Salahaddin, 16 in Kirkuk, 12 in Ninewa, 7 in Basra, 5 in Diyala, and 3 in Babil. The dead consisted of 1 Hashd al-Shaabi, 43 sahwa, 334 ISF, and 583 civilians, while the injured were made up of 3 sahwa, 11 Hashd, 162 ISF, and 204 civilians. Like attacks the real numbers were surely higher. IS upped the number of vehicle borne improvised explosive devices (VBIEDs) for the third week in a row. In the first week of May there were 11 VBIEDs, followed by 22 the second, and 24 the third week. 21 were in Anbar alone showing the heavy fighting there. Many more were destroyed before reaching their intended targets. 43 people were reported killed in these attacks and another 56 wounded. Again, the actual figures are far higher as many casualties were not reported for the car bombings in Anbar. Anbar was obviously the major focus in Iraq during the third week of May. IS successfully took Ramadi after 17 months of trying. Head of the Joint Chiefs of Staff General Martin Dempsey told the press that the ISF commander in the city ordered a withdrawal out of fear that the bad weather in the area would prevent coalition air support from being called him. The use of ten Oklahoma City size truck bombs also helped break down the defenses throughout Ramadi. From the very start, IS also executed over 500 civilians, sahwa and ISF members. It was reported that IS had hit lists of people they wanted to kill, and were going door to door looking for them. The militants weren’t done either as they continued to push east into Husaiba and Khalidiya. Back in Baghdad the fall of Ramadi has led to a series of recriminations. Sheikhs in Anbar have accused the ISF of abandoning them during the fighting. A State of Law parliamentarian said that Ramadi showed that the Iraqi government should only rely upon the Iranians rather than the U.S who was accused of helping IS. Dawa members also went after ISF officers in Anbar claiming that they had fled without consulting with the prime minister, were lying about the strength of their units, and some had contacts with the Islamic State. Finally, a spokesman for Asaib Ahl Al-Haq said that the fall of Ramadi was due to Prime Minister Abadi listening to the Americans to keep the Hashd out of the fight. Abadi and the Americans had gained strength from the victory in Tikrit over Iran and its friends within the Hashd after their attack stalled, but now were put back on the defensive due to the events in Anbar. This back and forth political battle will continue into the future. Baghdad continued to be a major target, but casualties dropped there compared to the previous week. From May 15-21 there were 44 incidents just around the 46 from the week before, and way down from the 68 seen during the first week. There were 51 fatalities and 108 injured during the third week, down from the 99 deaths and 218 from the previous one. There were two car bombs during the week, one at an army base in Abu Ghraib, and another on a market in Shurta. There were also 19 IEDs and 7 sticky bombs, which led to the majority of the dead and wounded. The number of extra judicial killings in the province continued at a high pace. There were twelve bodies discovered across Baghdad, which was just around the fifteen found the week before. So Far there have been 51 bodies dumped in parts of the governorate this month compared to 38 during April. The return of mass casualty car bombs and displaced Anbaris who have been blamed for these terrorist acts has apparently prompted Hashd and other Shiite elements to pick up the pace of these murders, although some are also the work of insurgents. 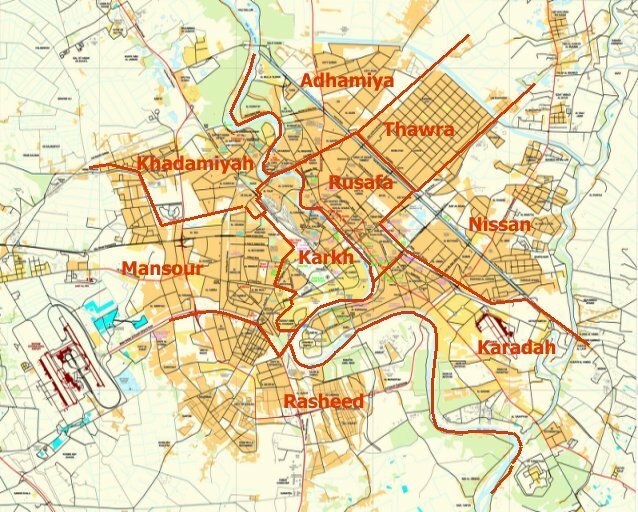 Violence in southern Iraq is dreadfully under reported, but during the week Asaib Ahl Al-Haq got caught up in a tribal conflict in Basra leading to a shoot out that killed six and wounded four on May 18. The removal of much of the security forces from the southern provinces to fight the insurgency has given rise to an increasing number of lawless acts such as gang activity, tribal conflicts, and deadly political rivalries throughout the region. The media is catching only a small portion of this. In Salahaddin the effort to relieve the Baiji refinery continued. Throughout the week government forces made steady progress towards the area, finally reaching the complex by the last day of the week. The fighting for Baiji highlights the manpower shortages Baghdad is facing as the region was cleared in October-November, January, February, and April. Whenever the area is attacked, reinforcements are sent in, but they then withdraw allowing IS to move back in. This has occurred throughout the country again and again. 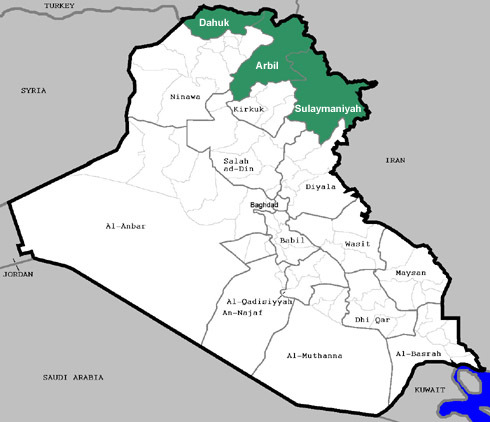 Unless there are strong local actors such as in Amerli and Alam in Salahaddin or the place was totally emptied such as Jalawla in Diyala, Jurf al-Sakhr in Babil and Tikrit the government has not been able to hold many areas after clearing operations. They simply lack the manpower to do so. 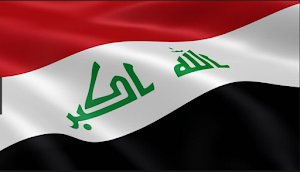 That means Baiji will likely come under threat once again in the coming weeks.